The engineer Pier Luigi Nervi (Sondrio, 21 June 1891 – Roma, 9 January 1979) was one of the world’s leading exponents of structural architecture. His work was vital to presenting the world with an image of a modern and competitive Italy that was both creative and technologically advanced. In the vein of classical architects, Nervi was both a designer and a builder. He was known primarily for his use of reinforced concrete and his skill for verifying design intuitions using scale models; he was also a genius at exploiting the compositional freedoms afforded by the use of prefabricated elements. Constantly attentive toward the relationship between structure and form, working with the concept of ‘resistance by form’, every part of his structures was rigorously based on the internal forces it was subjected to, clearly manifesting its role in the overall design. Nervi also focused on economic issues, which he considered an opportunity for adopting ever more innovative technologies and highly specialised labour, despite the presence of only a few rudimental materials and resources. 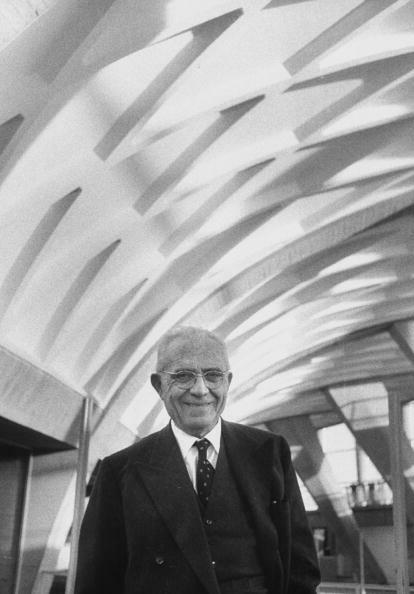 Pier Luigi Nervi was one of the leading figures of the post-war Italian economic miracle. 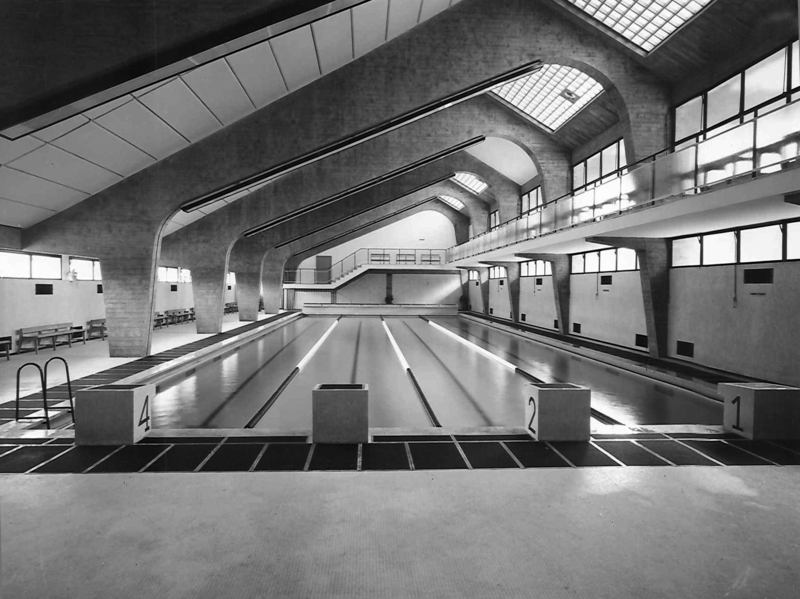 From this period onward he designed and built some of the most extraordinary industrial and civil buildings (the Turin Exhibition, the Pirelli Skyscraper in Milan with Gio Ponti, the Papal Audience Hall at Vatican City) and exhibition and sports facilities, in particular for the 1960 Rome Olympics. During the 1950s he became the most internationally recognised Italian designer, completing prestigious projects in Europe (UNESCO Headquarters in Paris with Bernard Zehrfuss and Marcel Breuer), North and South America (George Washington Bridge Bus Station in New York, St. Mary’s Cathedral in San Francisco, the Tour de la Bourse in Montréal, the Italian Embassy in Brasilia, etc.) and Australia (the Australia Square Tower in Sydney). 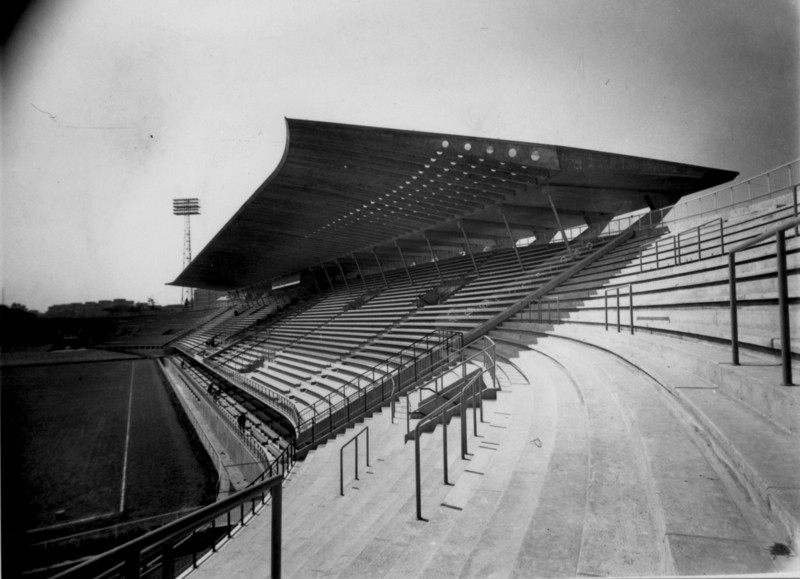 Pier Luigi Nervi designed the Flaminio Stadium with his son, the architect Antonio Nervi, between 1957 and 1958. 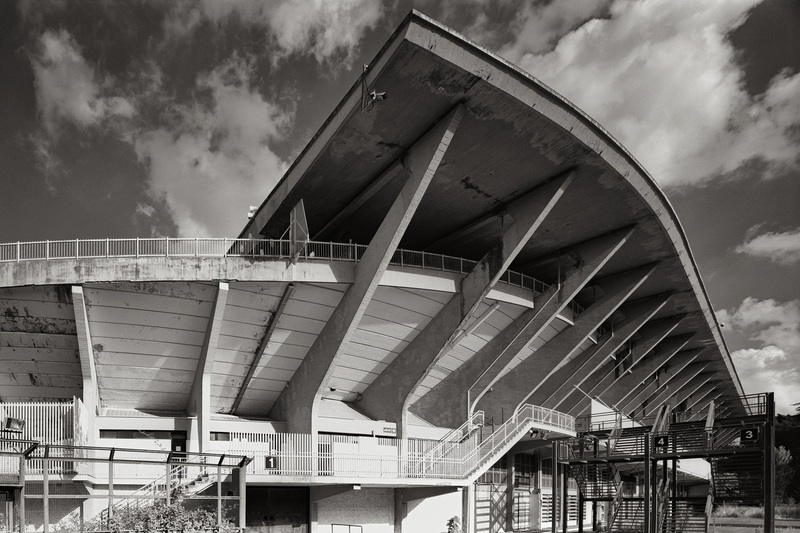 The structure was built for the XVII Olympic Games in Rome (1960) and inaugurated in 1959. 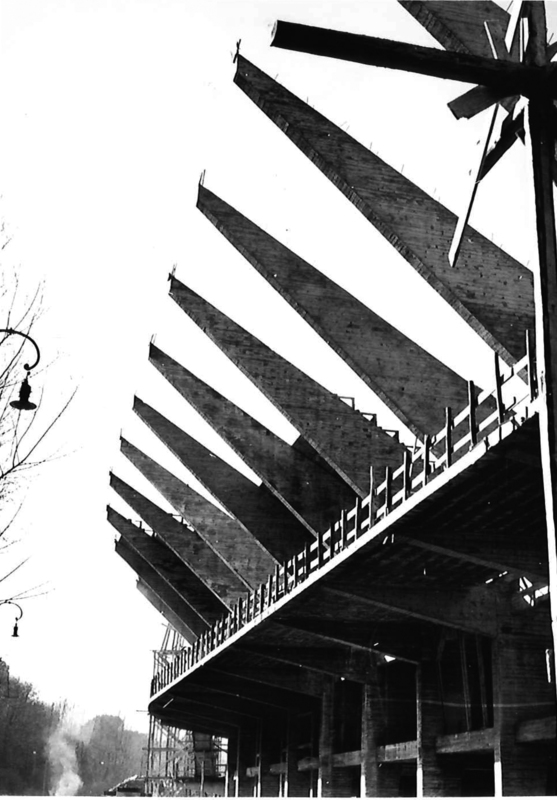 At the end of the 1950s the site was selected to host the main nucleus of new facilities designed for the Rome Olympics: the Olympic Village by A. Libera, L. Moretti, V. Cafiero, V. Monaco and A. Luccichenti (1960), the Corso di Francia Viaduct by P.L. Nervi (1960), the Palazzetto dello Sport by A. Vitellozzi and Nervi (1958), the Palazzo delle Federazioni Sportive by P. Carbonara. Designed for football matches, the stadium could host up to 50,000 spectators. 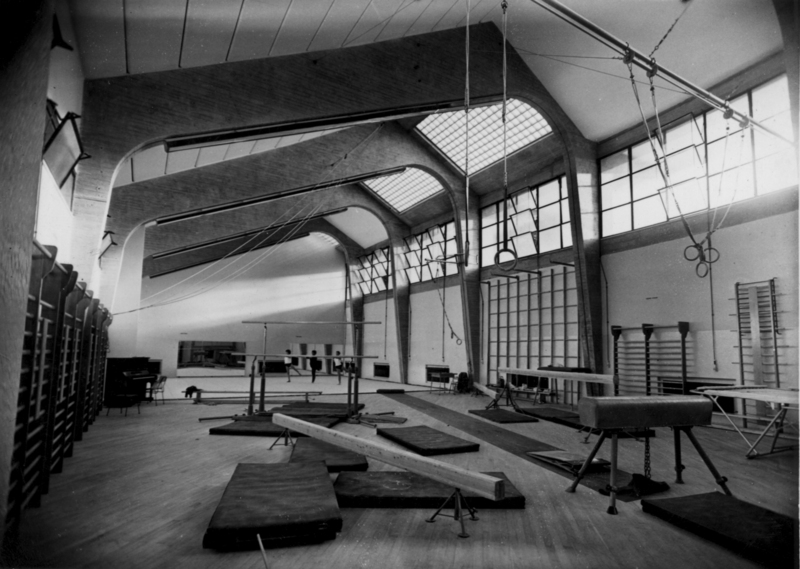 It also featured four gymnasiums, a pool, a bar, change rooms and a first aid station. The structure was completed by state-of-the-art building systems. 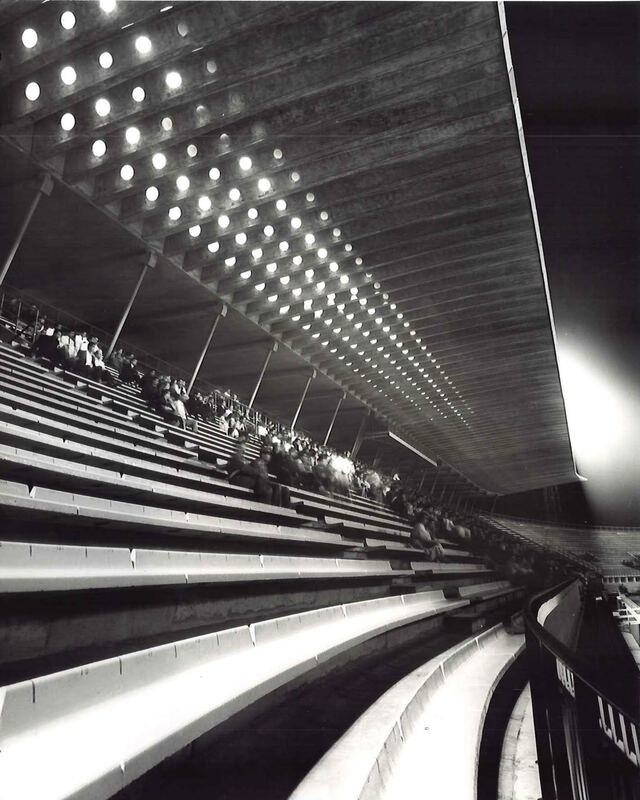 Concrete was employed in different ways and in original forms: in situ castings for the large structural frames, prefabricated elements for the grandstands, undulating slabs of ferrocement realised on site in specially designed formwork for the canopies. 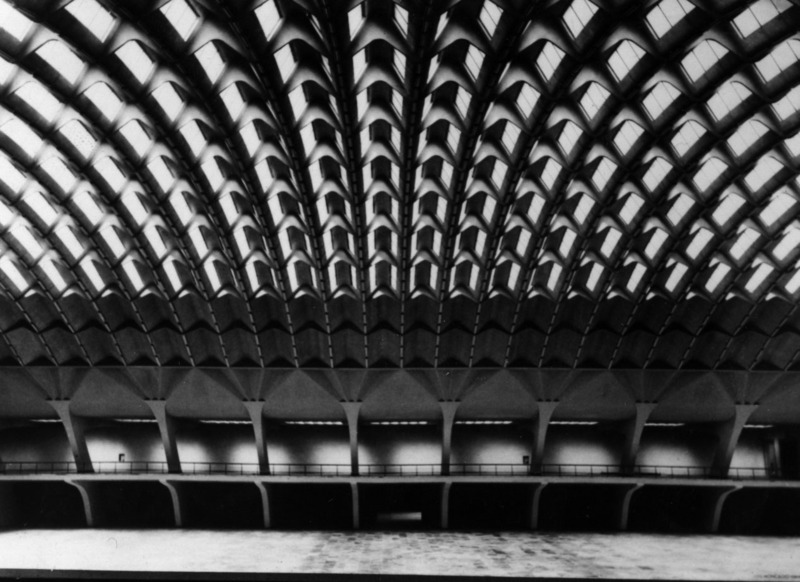 The project demonstrates how Nervi was already focused on the phase of construction while still designing, convinced that obeying the laws of statics was a guarantee in its own right of the proper aesthetic result. Abandoned for years, the stadium is now in an advanced state of decay. This degeneration can be traced back to three principal causes: improper interventions that failed to respect the characteristics of the original structure, widespread deterioration caused by years of neglect and the physiological aging of materials and plant systems. In agreement with the City of Rome, the Department of Structural and Geotechnical Engineering of the Sapienza University of Rome, the Pier Luigi Nervi Project Association and DO.CO.MO.MO Italia applied for the Keeping It Modern international Grant promoted by the Getty Foundation – one of the most prestigious international institutions supporting the arts, architecture and conservation – to obtain support for the development of a conservation plan for the Flaminio Stadium. 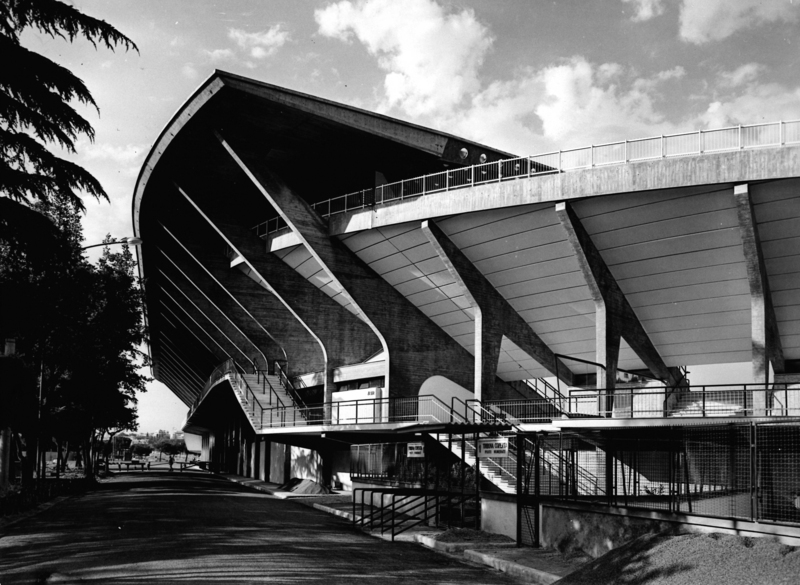 The research program, entitled The Flaminio Stadium by Pier Luigi and Antonio Nervi in Rome: an interdisciplinary conservation plan was officially approved on the first of June 2017 and will be developed by a team of specialists in various fields, under the supervision of an international scientific committee. 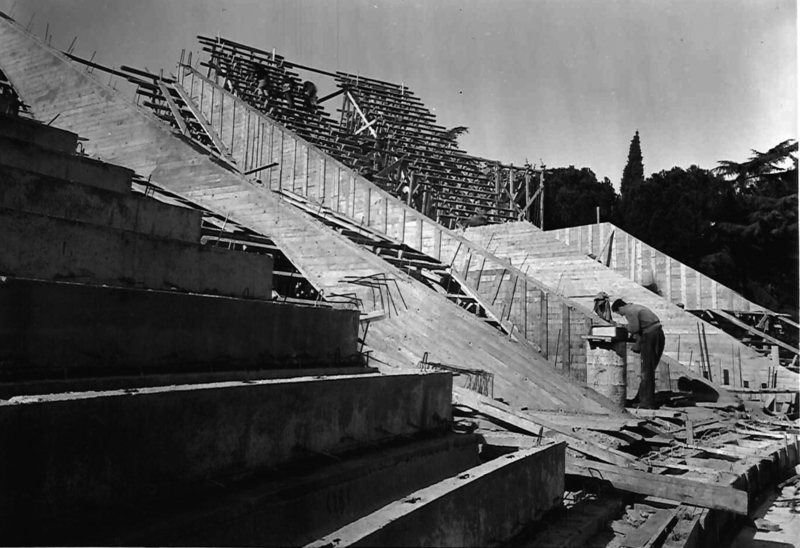 The conservation plan for the Flaminio Stadium will focus on promoting, supporting and guiding a successive project for its rehabilitation. The program is conceived as a set of design guidelines for the rehabilitation project, providing indications based on a specific understanding of the structure acquired during a campaign of analyses involving the study of historic documents and on site testing. The program will identify all structural, architectural, construction and functional elements of the building, strategically necessary to its conservation and to the restoration of its original characteristics. Research will be carried out with the prospect of restoring its original multifunctional purpose, as a stadium and sports facility, addressing current regulations and compliance requirements. 1. History and construction; 2. Architectural, structural and technical-constructive analysis; 3. Changes and transformations; 4. Guidelines for recovery and reuse. 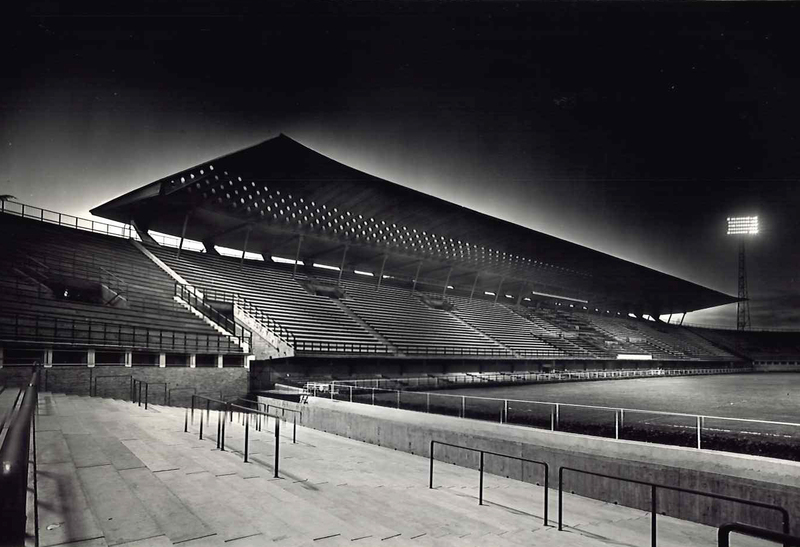 The Flaminio Stadium is a unique work that offers a highly original union between form and structure and between architecture and engineering. It testifies to a special and internationally recognised period for Italian architectural culture, characterised by a highly fertile relationship between different disciplines. 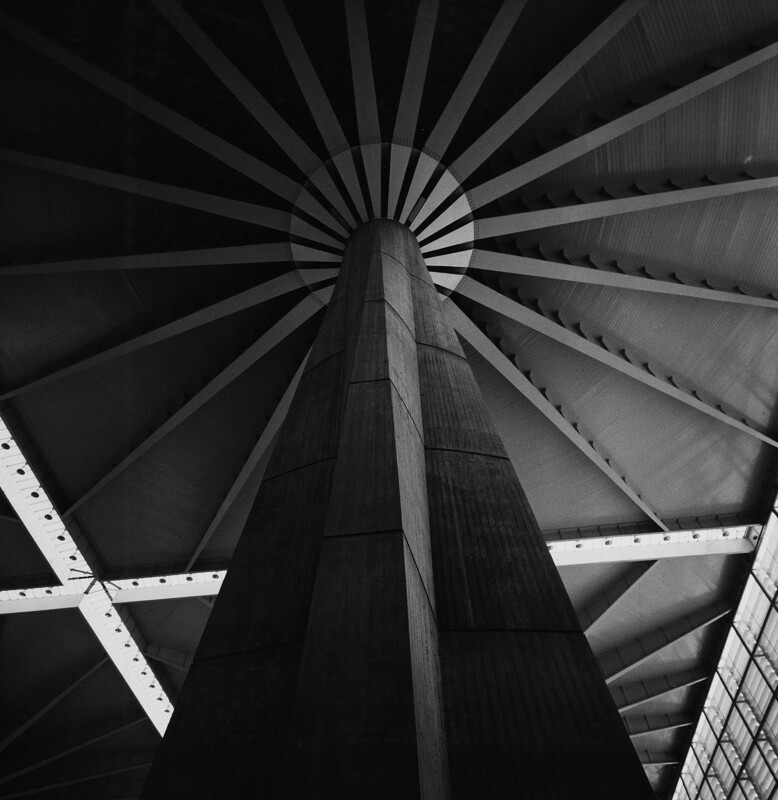 The project also frames a unique moment in the work of Pier Luigi Nervi, unanimously recognised as the most ingenious Italian engineer and a pioneer of the study and use of reinforced concrete. The DISG Department of Structural and Geotechnical Engineering has a distinguished history and a tradition of excellence in teaching, research, and services dating back to 1873. There are three main broad research areas: Solids and Structural Mechanics, Structural Engineering, and Geotechnical Engineering. It is an interfaculty teaching and research department, composed of about 60 faculty members, present both in the Faculty of Architecture (Via Gramsci, 53) and in the Faculty of Engineering (Via Eudossiana, 18). Facilities include teaching, research, and experimental labs, computing labs and a specialised library to support teaching and state of the art research. The Department's academic and research activities have attained an international reputation for excellence in areas such as structural dynamics and control, earthquake engineering, risk analysis, full-scale monitoring, behaviour of structural and geotechnical systems (galleries, tunnels), structural analysis and design, smart structures, and the structural reliability of historic buildings and monuments. DiAP Department of Architecture and Design, was established in 2010 as a result of the merge of the Department of Architecture (Diar), Department of Architecture and Construction (Ar_Cos) and Department of Architectural characters, Assessment, Environment (CAVEA). DiAP is engaged in research, training and experimental design related to architecture, cities and landscapes. The study of contemporary cities involves different fields: historical development, architectural heritage, physical configuration and social dynamics. 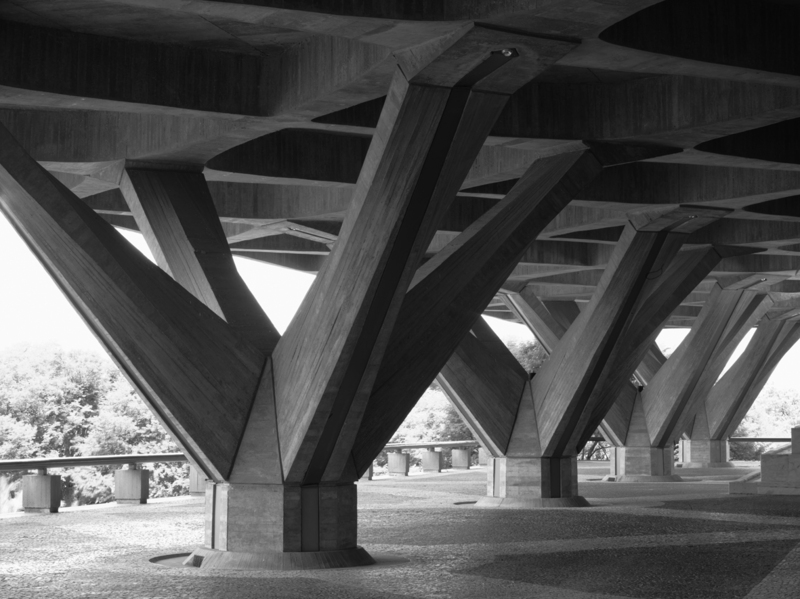 The Pier Luigi Nervi Research and Knowledge Management Project was created in 2008 to contribute to the renewal in the studies and appreciation of the work and personality of Pier Luigi Nervi. Managed by one of Pier Luigi Nervi’s nephews, Marco, the association coordinated the scientific research and financial support that made it possible to realise the travelling exhibition Pier Luigi Nervi: Architecture as Challenge. In addition to the management of this exhibition project, which has travelled around the globe, the Association also promoted the planned re-edition of the Norton Lectures held by Pier Luigi Nervi at Harvard University in 1962, as part of a vaster program to recover the engineer’s writings. 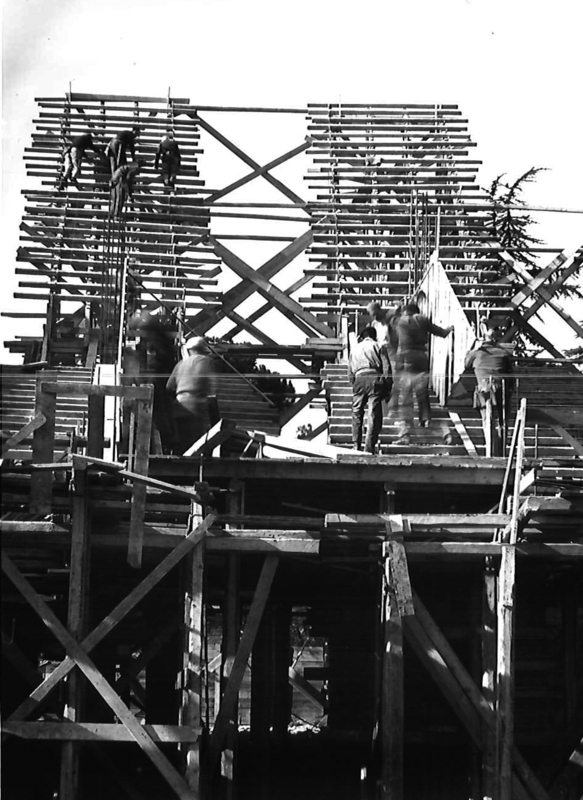 The commitment of the Pier Luigi Nervi Project currently focuses on the conservation and recovery of Nervi’s works in Italy and elsewhere, in the hopes of contributing to a vaster and more informed conservation of modern architectural heritage, of which Nervi’s structures remain a prominent example. 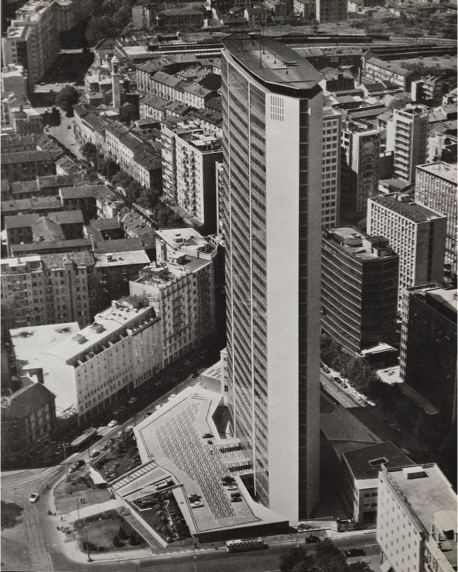 DOCOMOMO Italia onlus, established in 1990, was formally constituted in Rome in 1995 pursuing the documentation and conservation of twentieth century buildings and urban complexes. These objectives are pursued by working as an agency to document architectural heritage, promote its conservation and study appropriate criteria of intervention that respond to a condition of being evidence of the past. Interlocutors include scholars, professionals, university departments, local bodies and businesses involved in the field of restoration, together with territorial institutions responsible for heritage protection, in primis the Ministry of Cultural Heritage and Activities and Tourism. DOCOMOMO Italia is headquartered in Rome under the international umbrella of DOCOMOMO International (International working party for DOcumentation and COnservation of buildings, sites and neighbourhoods of the MOdern MOvement) founded in The Netherlands (1988), headquartered in Lisbon and editor of the DOCOMOMO journal. DOCOMOMO Italia participates in international conferences and the work of committees (ICS International Specialist Committees) examining specific themes: Register, Education, Technology, Landscape & Garden, Urbanism; updates to the Register are made in the form of charts describing Italian buildings and urban complexes.